Looks like a relief rally finally underway. Check chart of the day, another good signal on temporary bottom with record put/call ratio. Ron, S&P down 10 days in a row, many technicals over sold, RSI, MACD. 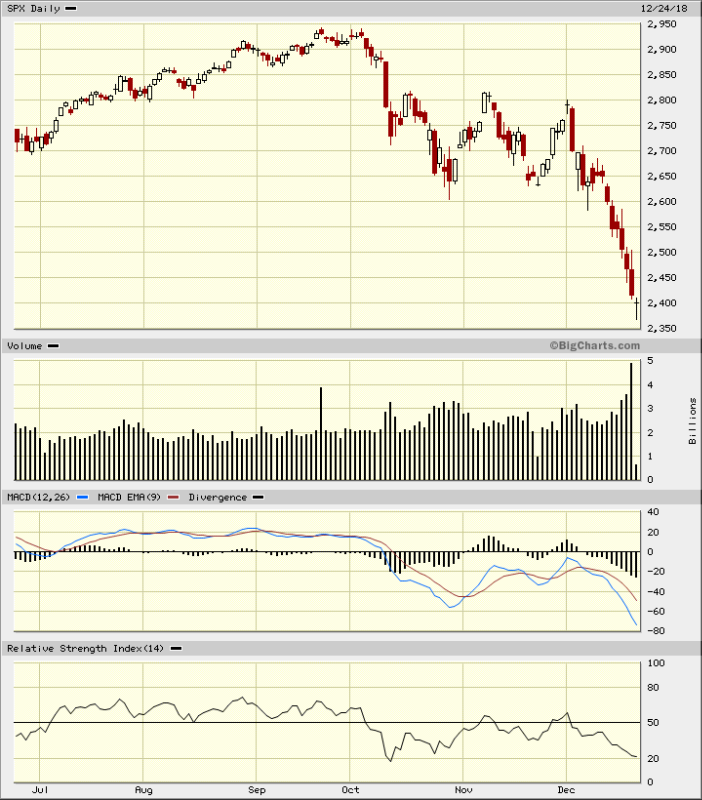 If markets stays where it is, we could get a doji candlestick. Maybe a reversal after XMAS?? Treasury Secretary Steven Mnuchin held calls on Sunday with the heads of the six largest U.S. banks in order to ensure liquidity and made plans to convene the "Plunge Protection Team." The group, which also met in 2009 during the latter stage of the financial crisis, includes officials from the Fed and SEC. Merry ho ho, I guess Wall street is on Santa's naughty list. Markets always fall faster than they rise.